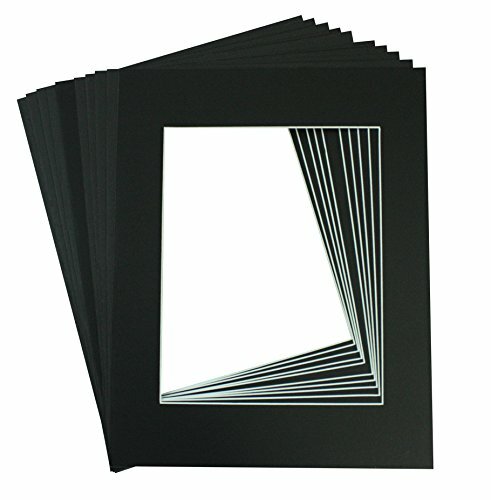 Pack of 10 11x14 Picture Mats for 8x10 Photos. These mats are made of acid-free, and pre-cut for immediate use. The mat opening size is 7.5"x9.5" for 8x10 print/pictures. Color: Black . 4-ply (~1.4mm or 1/16 inch) mats, both white core and bevel cut. Each item is professional packed and shipped to ensure a safe arrival of your purchase. All acid free, perfect from hobbies to art gallery exhibits.